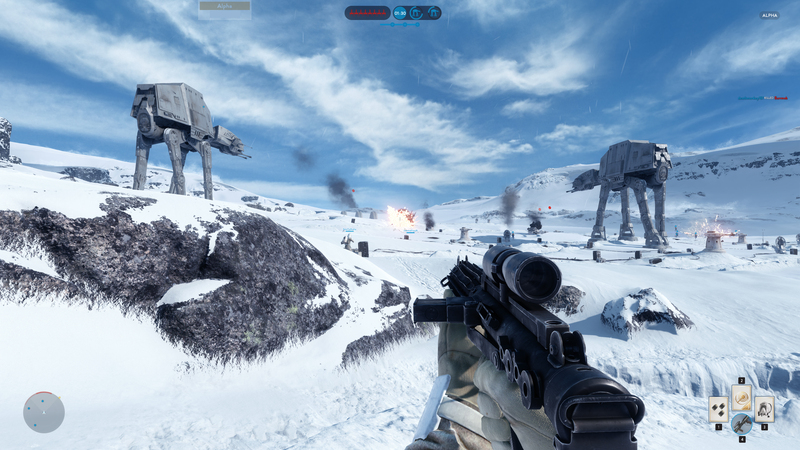 The developers of Star Wars Battlefront have promised a lot in the way of updates and DLC for 2016. Following last months free update that brought some additions and changes, a new February update is now live that includes a brand-new map and game mode. There hasn’t been a great deal of details when it comes to the specifics of the new content, but the new map “Twilight” is set on Hoth and can be played in any of the larger based multiplayer game modes (supremacy, walker assault, turning point, heroes vs villains and drop zone). Whereas “Survival in the Caves” is an addition to the survival mode. Much like the previous added content the developers simply announced that they would be included, and then left it up to the players to go online and experience the new additions for themselves. For fans of the Star Wars movies you’ll be especially excited about another addition from the February update, there’s now a film grain setting that will make gameplay look more like the actual movies, so somehow the developers have just made a Star Wars game even more Star Warsy. This may not be your cup of tea, but if you want to make Battlefront a little more cinematic, then this setting can be found in the video section of the options. The update has also come with some updates and bug fixes, for example, your primary weapon will now do 10% more damage to air vehicles, and the damage of Barrage has gone from 50 to 55. Anyone who’s a fan of Chewbacca’s Bowcaster will also be happy to hear that its explosive damage has been increased from 10 to 15%. Anyone who’s played the game will know that the Rebel A-Wing can be a bit of a nightmare to destroy and it almost seems unfair at times, the developers have taken note of this and made changes to increase the vehicles hit boxes. Happy hunting. Also Boba Fett’s ship “Slave 1” will now have a detector that shows any rebel vehicle on the radar that’s using a shield. Another great fix is that they’ve shortened the time you wait before each round, so now you won’t have to sit and watch your team do annoying celebrations for 30 seconds. Star Wars Battlefront is out now for Xbox One, PS4 and PC. Buy Star Wars Battlefront on Amazon Now!